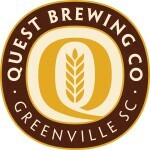 We offer a variety of Greenville brewery tours in the beautiful up and coming city. Public tours are offered on Wednesdays and Saturdays, and custom, private brewery tours are also very welcome. Below is a list of the fine establishments you can expect to enjoy and learn more about on The Brewery Experience tour of Greenville! Brewery 85 produces a wide variety of ales and European-style lagers from German-trained head brewer and co-founder Will McCameron. With one of South Carolina’s more beautiful brew houses – directly visible from the tasting room – Brewery 85 also boasts a great event space, with a deck that serves as the perfect place to watch a Greenville sunset. Showcasing a very impressive lineup of creative seasonal and specialty brews, including numerous barrel-aged offerings, Quest Brewery has quickly built a reputation as a go-to venue for craft-beer enthusiasts. Enjoy everything from a smoked porter aged in rum barrels to a refreshing Belgian-style pale ale surrounded by brewing tanks, on the patio or in Quest’s intimate, cozy tasting room. There’s a good reason why Greenvillians – AND The Brewery Experience – are always eager to make the 20-minute drive up to quaint Travelers Rest to visit Swamp Rabbit: Brewer/founder Ben Pierson’s spot-on, award-winning beers. The founding father of Greenville’s emerging craft-beer scene, Thomas Creek is the largest brewery in Greenville and second-oldest in the state. From classic German styles like pilsner and doppelbock to hoppy IPAs and the decadent coffee oatmeal stout, Thomas Creek has a beer for all tastes. The Eighth State Brewing Company is a ZYMURGY & LIFESTYLE PROJECT INSPIRED BY THE 8 CIRCUIT MODEL and one of Greenville’s smallest and most unique breweries. Eighth State has the luxury of constantly cranking out a rotating selection of delicious, interesting beers offered alongside a stellar guest tap lineup, featuring other neighboring and statewide breweries. 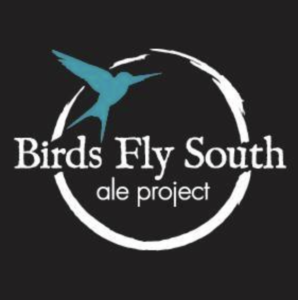 Birds Fly South Ale Project is known for creating craft beer with a old school approach. They are known for their diversity with interest in IPAs, barrel aging, and both new and traditional styles. Liability Brewing is known for creating craft beer using mostly local ingredients. They love to have fun and offer a unique experience that is sure to put a smile on your face.